As my years in Spain go by, I have come to the realisation of how little I knew of the Spanish culture, why do they celebrate so many parties, why family union is so important and why do they value their property so much….I learned that more than money for them was all about emotions, emotions based on culture, faith and eager to have fun! No wonder why Spain is in general a happy country, with strong traditions and rules but happy!. The more I get to live with them the more meaning I find to their traditions and this is why our Christmas blog will be dedicated to EL GORDO, which is the biggest lottery prize in the whole world! 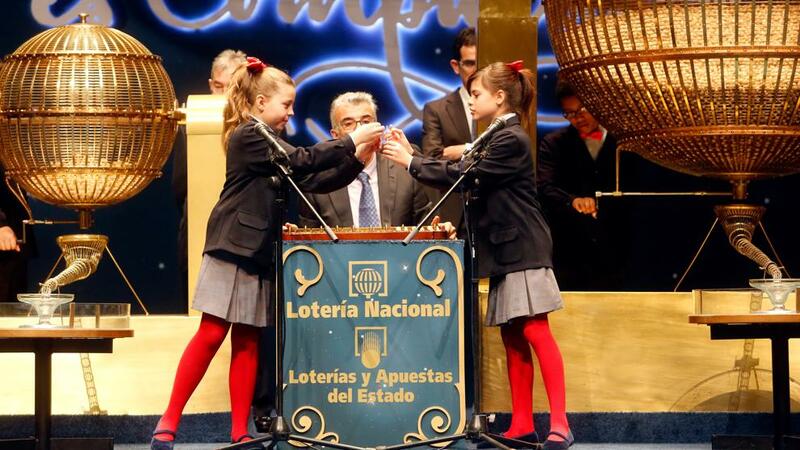 My first serious encounter with a lottery ticket was at a kids party, after picking my daughter I was sold a lottery ticket to fund a Moros and Cristianos party, at a cost of 23 euros!! I found it outrageous that I was offered a ticket at a kids party and for 23 euros!, not wanting to be the odd one out, I paid. later I spoke to one of the mums, asking if this was normal? Was this the right price? Why should I fund a Moros and Cristianos party? Should the lottery be about funding people in need? To my surprise this mum’s answer was: “yes, I bought two tickets, its very good, the parties in that village are good”!….so it was normal? Maybe here 23 euros is nothing? Am I missing something? She just gave away 46 euros! For a party that she may no go! So I started to investigate and went around asking my expats friends what did they think about it? Darcy said to me “Yes, my Spanish mother-in law spend about 500 euros in tickets every Christmas”, Maria said “Yes, my husband gets tickets from work, the company give them for free, about 50 euros» Karen “Yes, in my school all parent in the class get together and pay to buy a Gordo, The Fat One”; Ana “Yes we get them from our local pub, last year they make money”; Candela “ My mother likes to buy them in this place in Madrid, because it’s tradition, this kiosk has sold the winner a few times” and Carol “Yes the football team is also selling them” and it went on and on…. So the idea is this: an organisation buys the tickets from authaAs my years in Spain go by, I have come to the realisation of how little I knew of the Spanish culture, why do they celebrate so many parties, why family union is so important and why do they value their property so much….I learned that more than money for them was all about emotions, emotions based on culture, faith and eager to have fun! No wonder why Spain is in general a happy country, with strong traditions and rules but happy!. The more I get to live with them the more meaning I find to their traditions and this is why our Christmas blog will be dedicated to EL GORDO, which is the biggest lottery prize in the whole world! So the idea is this: an organisation buys the tickets from authorised outlets for 20 euros, and sells them for 23 euros, the difference goes to the organisation to fund the charity, football team, party etc., people get in syndicates to buy the tickets and spread the possibilities of earning while funding some other interest. The Lottery Christmas is a Christmas ritual celebrated on the 22 December every year, and comes from the XVIII century, the second longest running in the world, it went through the civil war, under Franco regime. The numbers are shuffled and presented by kids from the School of San Ildefonso, one of the oldest schools for Orphans in Spain, about 400 years old, In recent years it has been open for kids with families too. The children are chosen for their vocal skills and are prepared during the whole year for this event. There is pressure on a child and the same time honour on a child to sing the number, and Gosh ..they Sign the numbers, like angels in a glorious day. They are also known as The Children of Good Luck. Winners always donate money to this well deserved school. So have you bought your ticket? orised outlets for 20 euros, and sells them for 23 euros, the difference goes to the organisation to fund the charity, football team, party etc., people get in syndicates to buy the tickets and spread the possibilities of earning while funding some other interest. So have you bought your ticket?